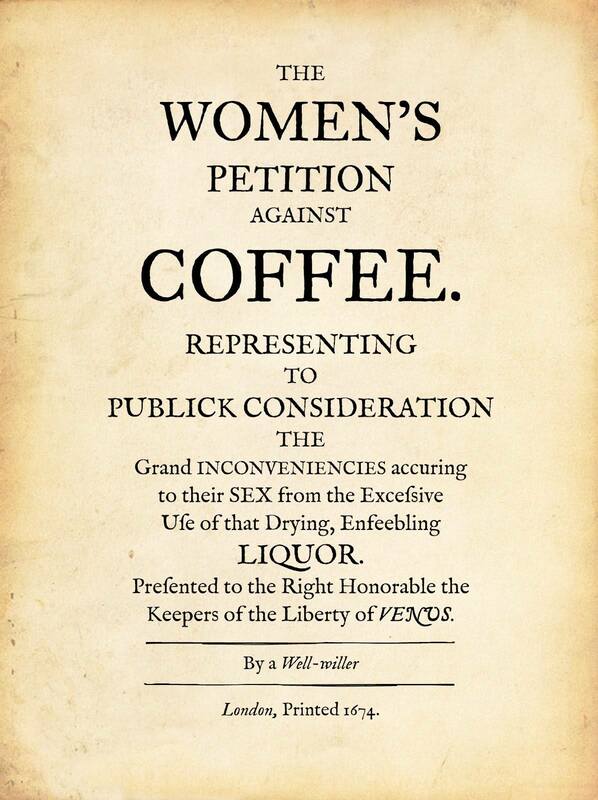 The original Prohibitionists? 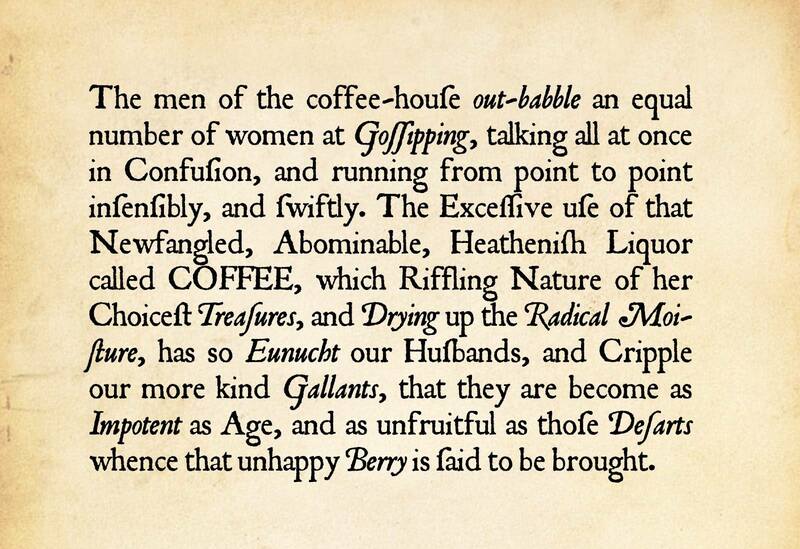 In 1674, the Women’s Petition Against Coffee was published in London to protest the sale of this “Heathenish new LIQUOR” because of the effect it was having on their Hufbands. Take a look at their list of complaints. Because let’s face it. We could tolerate their Goffipping. We could put up with their Impotence, and maybe even endure the occasional Drying of Moifture. But we absolutely cannot, will not, abide thofe deadly Defarts. Now they’ve crossed the line.